Justin Scott signs with Columbus Blue Jackets. 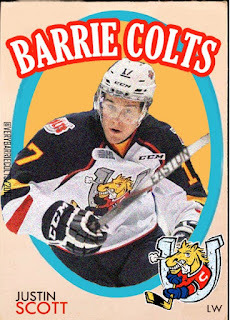 #OHL #NHL - Very Barrie Colts | A website covering the Barrie Colts of the OHL. 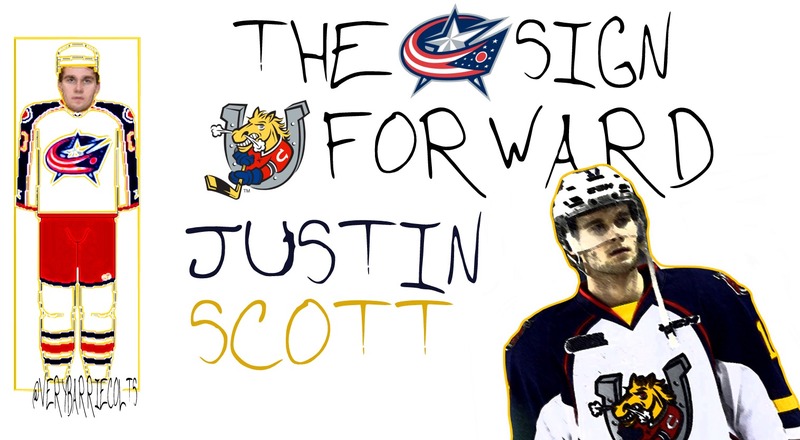 For those of you living under a rock it was announced late last week that Barrie Colts forward Justin Scott had signed a 3 year entry level contract with the Columbus Blue Jackets. If it hasn't already been announced, expect @BlueJacketsNHL to announce signing of Barrie Colts forward Justin Scott today. 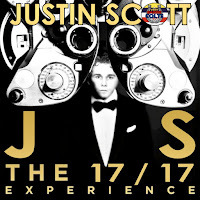 There had been many talking about how scouts had their eyes on Justin and that was not more obvious than if you were at Barrie Molson Centre for Game 7 of Round 1 with the Mississauga Steelheads. 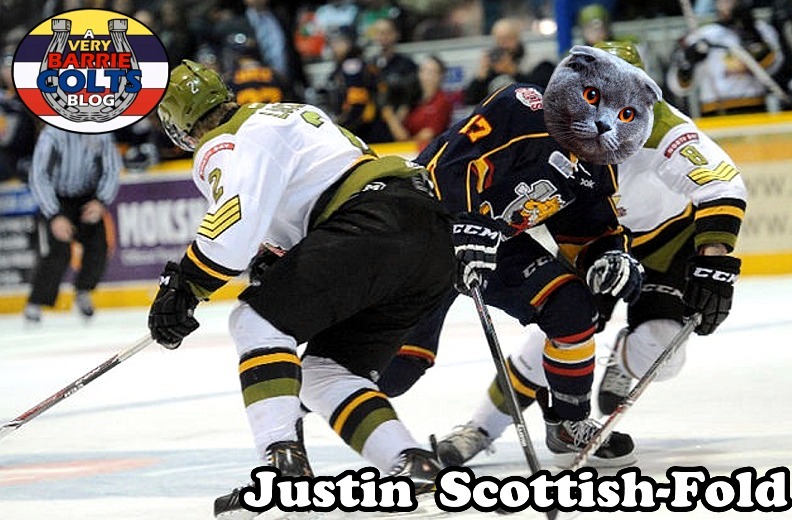 There were reports of scouts being in attendance circulating BMC and with Justin Scott already with 7 goals up in the series, there was no doubt who they were there to see. Very tight lipped as to who was there watching as usually at BMC, though this humble blogger can confirm Boston was one of the teams, having sat right behind the shouts at the game. They left the game after Scotts second goal that game before he would go on to score a hat-trick and get the win for his team. Obviously the 3 goal night to top a 10 goal series was enough to draw the attention from Columbus. Scott didn't just score in that series. Scot put 33 on goal which for those watching the full series know Barrie could have shot the puck more. Scott was doing that. Scott was hitting. Scott was getting under opponents skin. Scott was doing a lot. What he did that was most important was lead. And that is what Scott always does. 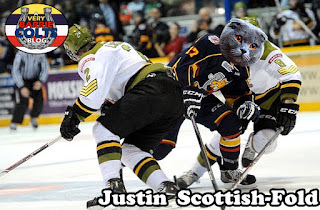 Justin Scott is a very skilled player but that is not why he will succeed in the NHL. He will succeed because of his work ethic. Scott just works really hard. And his stats reflect that, Last season he jumped production wise and we wrote about it in a post we called 'Justin Scott developing "Just in Time" for the Colts'. Scott and the Colts had 10 games left in the season and Scott already had doubled most of his production from the previous year. This year, he managed to beat his point total from last season. He finished the 2015-16 season 28 goals and a total of 65 points in 67 games. That total is 12 more points than he had in his previous season which was his best. Scott leads because he improves his game. If you consider the leaps he has made over the last 2 seasons in Barrie, you KNOW Columbus only sees how much more potential there is for him at the next level. Columbus really made a great signing here but his on ice ability is not the only area here the team won with the deal, Scott is also a really nice kid. I still remember the first time I met him at BMC. It was at a Blue and White game signing at BMC and he saw my blog tshirt and asked if I was the "guy who put cat heads on players". As most of you know, I am. HE asked questions about them and seemed generally interested (which is hard because I mean, I just put cat heads on players) and seemed to actually enjoy them. Was very friendly and nice and went out of his way to interact with fans. We would like to congratulate Justin Scott and the Columbus Blue Jackets on the deal! and don't worry; Scott is still focused right now on the Colts winning a championship! On April 15, 2016 I signed my first NHL contract with the Columbus Blue Jackets. Thanks to everyone who has helped me along the way. Friends, family and teammates made this really special. Looking forward to the opportunity in Ohio. With that being said the @barriecoltshockeyohl are hungry for a championship. Also, got some love last week from Don Cherry on Coaches Corner following that game 7 match with Mississauga. Did Don mention that Scott wasn't drafted? Look here for advises with SAT exam. They may help you.